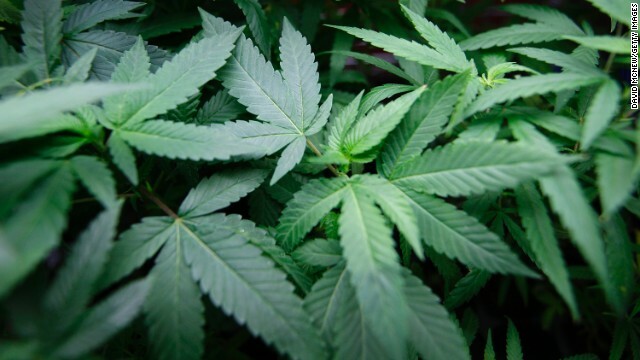 (CNN) - Florida voters will get a chance to vote on legalizing marijuana in November. The Florida Supreme Court on Monday approved wording that can appear as a ballot initiative during the midterm elections later this year. The use of marijuana for medical reasons is legal in 20 states and the District of Columbia, according to the National Conference of State Legislatures. Former Gov. Charlie Crist, who's challenging incumbent Gov. Rick Scott this year, released a statement Monday in support of the amendment proposal. "This is an issue of compassion, trusting doctors, and trusting the people of Florida. I will vote for it," he said. With the marijuana issue seeing more support from Democrats than Republicans in recent polls, it's no surprise that Crist, a former Republican governor turned Democrat, would support having a marijuana ballot initiative on the same ticket as his race against the incumbent GOP governor. The amendment could drive more voter turnout in Crist's favor. According to a Quinnipiac University Poll released in November, 82% of Florida voters support legalizing medical marijuana, while 16% oppose it. Breaking it down by party lines, 87% of Democrats support it, compared to 70% of Republicans. The governor says that he would vote against such an amendment. "I have a great deal of empathy for people battling difficult diseases and I understand arguments in favor of this initiative," he said in a statement provided to CNN by a spokesman. "But, having seen the terrible affects of alcohol and drug abuse first-hand, I cannot endorse sending Florida down this path and I would personally vote against it." "No matter my personal beliefs, however, a ballot initiative would be up to the voters to decide." CNN's Paul Steinhauser and Steve Brusk contributed to this report. Dutch/Bad Newz, VA -aka- Where's Our $24 Billion? The governor said as recently as last week that he would vote against such an amendment. Which is another reason why he won't get re-elected. He should be happy. He'll have more people to drug test. I can't wait for all the old bats to die off so they can finally legalize this once and for all. All the opposition to this comes from old people who are misinformed and don't care much about changing their ways. Rick Scott, less popular than stems and seeds. Legalize it and tax the heck out of it. Anyone buys or grows pays a tax. The potheads tax money can help with education and medicare for the poor.